Back in the day web pages were displayed one at a time after a long loading process. The advent of Flash allowed websites to become live and interactive. Flash enabled animation, motion and video dramatically improving the user experience. 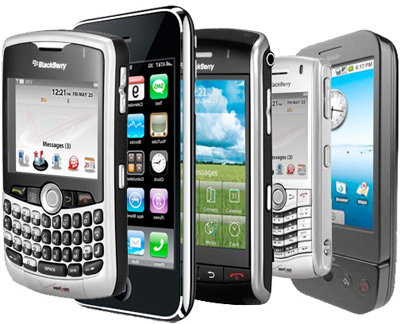 Then internet enabled mobile devices exploded in use and issues arose with the poor user experience from supporting Flash on mobile devices. 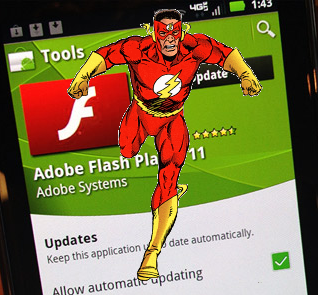 Apple took the step of refusing to support Flash on its devices. Developers also had to tackle the problem of how to present large web pages on a small screen. This lead to many having to create and maintain both a desktop and a mobile site, a frustrating, work intensive process. Could the answer be to move away from the browser? Native apps seemed to eclipse the mobile website in a matter of months. Enabling rich media functionality directly from the device, with a faster user experience, the native app became a key platform for developers capitalizing on the rapidly expanding smartphone market. However, native apps have their own set of problems. This better user experience is platform specific, to create a similar experience for a different platform a separate app must be built and maintained. These platform specific apps are then subject to different app stores for distribution, each with their own set of rules and regulations to meet. Given these development challenges and the difficulty of getting the user’s attention in a crowded app store, the focus for developers has returned to the mobile browser. A new language has come to the fore which offers the developer many advantages. HTML5 may finally allow for a great cross platform user experience with only minor adjustments to the code to run on each platform. Although HTML5 is yet to be standardized, it is clear that industry wide support is driving standardization over the next couple of years. Spotify has recently announced its own marketplace for HTML5 only apps. And with strong backing from internet giants such as Google and Facebook it is clear that HTML5 is becoming mainstream. User demand has led to apps being separately written for each device. With HTML5 you can build one core application and with only minimal work on the front-end it can cover every web-enabled device. HTML5 is closer than any past languages to a “write once deploy many” scenario. The time and cost benefits for developers of this multi platform solution are dramatic. The Doctype and all pre body mark-up is different, with HTML5 it can be read by all major browsers. The meta charset is also a lot clearer. HTML5 has also given some of the commonly used elements their own tag. These improvements typically create sites with less code than with older browsers. It also means more accurate search results as it is easier to pull out the semantic information. HTML5 has better direct support for fluid animations, video streaming, music and integration with Social Networking sites. Using HTML5 developers can build mobile-optimized websites offering a similar experience to using Flash on desktop websites or by developing native apps. With apps running smoothly on all platforms the closed ecosystems are less able to dictate terms of distribution and business. With content back in the browser developers can define their own content, product proposition, marketing and pricing. Make sure you view these sites on a desktop browser as well as on a mobile device. This entry was posted in html5, trends and tagged Mobile apps, mobile browsing, mobile content, mobile internet, user-experience. Bookmark the permalink.